Susanne S. Warfield is the leading expert on the business, legal and liability issues that affect physician and esthetician relationships working in a medical or spa setting. Warfield is a 27-year Licensed Esthetician and is NCEA Certified. Her career started as an Esthetics Instructor at Sheridan College in Oakville, Ontario, Canada, where she taught the 2nd year of a two-year degree Esthetics Program. When she moved to the United States, her advanced training was put into use and she spent almost 14 years working with a dermatologist in New York City. 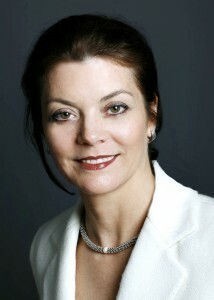 See Susanne S. Warfield’s profile on the My Social Beauty. Embarking on a new career can be frightening at first because the distance between where you are when you get out of one of the many esthetician schools and gaining the experience prospective employers want can seem so vast. The first step on any journey into the unknown is always the most difficult, and the good news is that once you pass your state boards, you’re actually already on your way. The next step is to define what is a successful career for an esthetician? You’d be amazed at how many people never bother to plan their careers. They plan just about everything else about their lives – vacations, weddings, even grocery shopping – but when it comes to what they spend most of their working lives doing, they just drift. Most people never actually examine where they want to go; they simply follow the crowd and do the obvious. But even if you get offered the greatest job, it won’t really be your choice unless you actively, consciously make it. I certainly don’t think working in a medical setting is the right choice for every esthetician, nor do I think that every esthetician working in a spa should do it to the exclusion of other esthetic work. I know that working in a dermatology practice was the right choice for me because I made it only after spending a great deal of time thinking about what I like, what I’m good at, and what my options are, given my predilections and my training. And that’s really the key for any important career decision. It’s a cliche, but it’s true, if you fail to plan–you plan to fail. But really knowing what you like is not so easy as it might seem. Many of us took aptitude tests in high school to find out what we were best suited for. Those tests, among other things, were really subtle explorations of what we enjoyed doing. I’m sure your local library can recommend some reference books if you haven’t explored your skills. Even if you don’t have much faith in the specific techniques these books employ, doing the exercises at least forces you to give some conscious thought to the direction you’d like to take, as opposed to what you think you ought to be doing with your life. Whatever exercises you use, they should have one thing in common: they should help you free your mind from the strictures we usually place on it when we think about work. In other words, when you think about what you’d like to be doing with your esthetics career, you shouldn’t be limited to what you traditionally think of as work. The whole point of these exercises, in fact, is to broaden your usual definitions of work. Think of the things you actually choose to do when you’re completely free to spend your time as you like. That includes what you do for entertainment, volunteer activities, hobbies, anything, even cleaning the garage if that gives you pleasure. In fact, it’s those things you wouldn’t think of under ordinary circumstances that can be the most revealing. For example, if you like cleaning out the garage, it may mean you enjoy bringing order out of chaos – you’re a good organizer. There are other exercises that are useful for helping define what shape you’d like your career to take. Priority lists, where you list the pros and cons of a decision on each side of a piece of paper and give numerical weights to each entry to see which side comes out ahead, decision trees, or any of a host of methods used to clarify decisions can be used. Make lists of goals for your next position – wealth, challenge, interaction with interesting people, creativity, a pleasant environment, adventure, fame, power, leadership opportunities, long lunch hours, anything you want – and try to imagine the ideal position. Pay attention to what turns you on and to what turns you off. Remember, these exercises are just for you. Be as free as you can because their only purpose is to help you think creatively about your strengths and to become conscious of the forces that help you succeed or prevent you from doing as well as you can. Above all, the most important thing to take from these exercises, is that the reasons for choosing to work as an esthetician in a medical or spa setting, be conscious reasons, not vague, undefined impulses. Now get to work planning your future! Last updated by admin at March 28, 2011 . This entry was posted on Tuesday, June 1st, 2010 at 1:02 pm	and is filed under Beauty Jobs & Careers. You can follow any responses to this entry through the RSS 2.0 feed. You can leave a response, or trackback from your own site. There are certainly a good deal of details like that to take into consideration.